The Centre today assured the Arunachal Pradesh and the Mizoram government that it would provide them all assistance to deal with the floods. 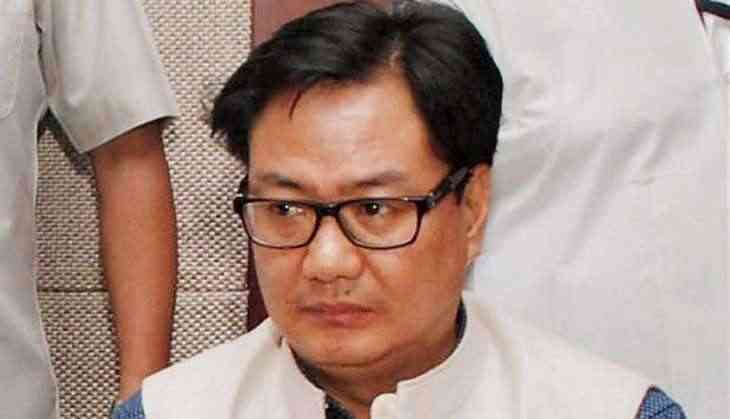 Union Minister of State for Home Kiren Rijiju took to Twitter and tweeted: "MHA is monitoring the heavy flood situations in Arunachal Pradesh, Mizoram & other States for necessary help (sic)." He further said that the government was in constant touch with State Govts. "All Para-Military, Army, Border Road Organisation (BRO) and National Disaster Response Force (NDRF) teams are moving on for necessary help to the State Govts." Rijiju further tweeted that 24×7 Control room of the Ministry of Home Affairs (MHA) was monitoring severe landslides and floods in these states for necessary help. At least eight persons, including a mother of twin babies, have been killed and six others are missing after flash floods caused by heavy rainfall wreaked havoc at Tlabung sub divisional area in Mizoram's Lunglei district. As many as 350 houses have been submerged in different parts of the state in the flash floods. Paddy fields of at least 8 villages are also submerged by the flood. Tlawng River, which runs through Aizawl, has also risen above danger level. The water almost rose to the Bailey Bridge which runs over it and 15 houses have been swept by the flood. At least 52 families are being evacuated. In the capital Aizawl town, at least five houses are destroyed and landslides have blocked several roads. However, roads are being cleared and rescue operations carried out. Incessant rains in the last two days wreaked havoc in Mizoram. This is the first time Aizawl district has witnessed flash floods. Temporary shelters are being arranged by each village authority, and the state authority is yet to take stock of the damages as connectivity and communication lines have been snapped by the bad weather.